Quick Thoughts: COMMUNITY, "Regional Holiday Music"
Apparently, Community's got a severe case of Glee-nis envy as it used its holiday episode as a way to take shots at the FOX musical dramedy, but Glee will have the last laugh when it comes back in January. In all seriousness though, as a fan both both shows, "Regional Holiday Music" was pretty fantastic. 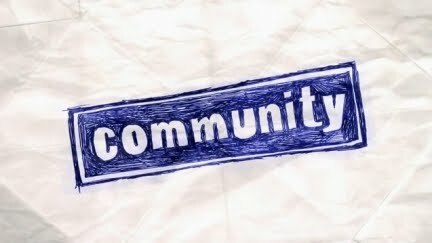 It's almost too easy for a show like Community to make fun of Glee (that's why it's been doing it since Season 1), but at least the Greendale gang was original about it. Using a Christmas episode as a way to riff on Invasion of the Body Snatchers all while singing is not a feat that many shows can accomplish, so of course Community had to nail it, and the kicker was this episode out glee-d Glee by having better original songs. Every song pretty much worked because they were not only funny, but they also gave insights into the character themselves. By far the highlights had to be Troy's rap about being a Jehovah's Witness spy infiltrating Christmas, and his pandering duet with Abed that played to Pierce's ego. Annie's hyper-sexualized Santa's Helper routine was also pretty awesome for obvious reasons. Even some of the numbers that didn't work as well, Shirley singing gospel was too easy, still made me chuckle. I'm usually very protective of Glee, and I've been irked by Community's need to pick on it in the past, but "Regional Holiday Music" was too fun to be mad at. Plus, part of me wants to believe that the jokes were tongue-in-cheek and that Dan Harmon really doesn't hate the show.